Using a pen expanded compartment, the cute little fox can hold your business cards, credit cards and some cash. Like the design? Let’s keep going for the handmade fox inspired leather card case. 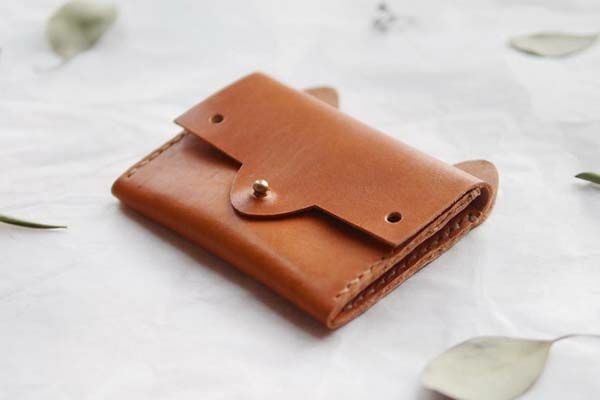 This is a pretty cute and practical leather card case handmade by Quynh Pham, a craftsman from Chicago. 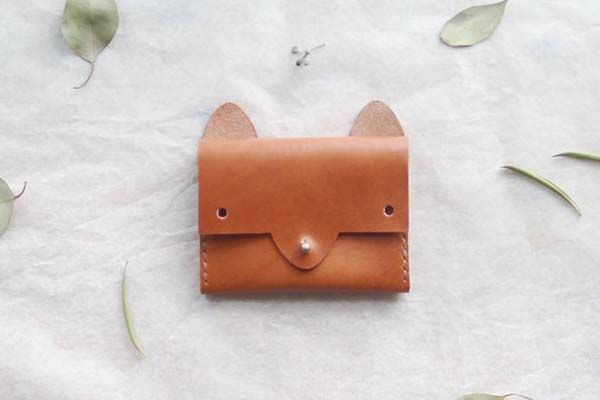 The card case measures approx 4 inches width by 3.75 inches height, and as we can see from the images, the case is inspired by fox, so it shows off a cute fox face with nice details including a pair of ears, a little nose and two intelligent eyes. 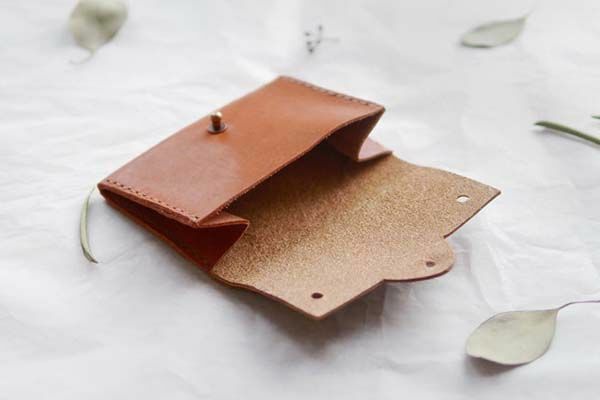 The card case is made with 3.5oz Horween leather in caramel brown color and hand stitched with waxed nylon thread in natural color in order to deliver a durable and long-lasting construction and premium feeling. Its interior has one expanding compartment that gives enough room to accommodate your credit cards, business card and even some cash, and a brass button stud keeps the fox’s “nose” closed in order to hold your valuables securely in place. The fox inspired leather card case is priced at $60 USD. If you’re interested, jump to Etsy for its more details. Additionally, also don’t miss the handmade leather business card case and more related cool stuff by following tags.